See scan - very good condition. 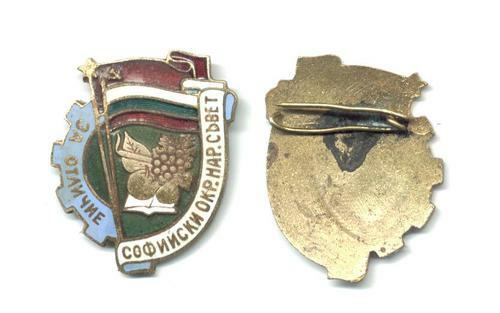 This is a nice and rare Bulgarian socialist / communist era award badge presented to people for Merit and Perfect achievements in service to the municipality. Nice and scarce early communist propaganda / patriotic collector piece and one of the nice Bulgarian badges.